The 2017 Rugby League World Cup currently underway in Australia, New Zealand and Papua New Guinea (PNG) is totally different from previous tournaments. Australia, England and New Zealand have been the big names in the league world, be it the World Cup or individual tests, no other team have come close to these countries. Australia has no doubt been the team to beat and New Zealand has been their nemesis on a number of occasions. However a new twist has emerged with this year’s World Cup tournament as two of the biggest names in the NRL have defected from the top nations to play for Tonga. The big news was when North Queensland Cowboys’ Jason Taumalolo withdrew from the New Zealand side, which angered and disappointed Kiwi coach David Kidwell, and Andrew Fifita who left the Kangaroos squad three weeks after being selected to line up for the Tongans. Tonga have amassed a star studded line up and their humiliation of Scotland on Sunday night with a 50-4 win belied their World number 11 status and proved their devastating ability to attack with power and speed. Players like Will Hopoate (Canterbury Bulldogs), try scoring machine Michael Jennings (Parramatta Eels), Joe Ofahengaue (Brisbane Broncos), Daniel Tupou (Sydney Roosters) and Manu Vatuvei (Salford Red Devils) are some of the big names in the side. 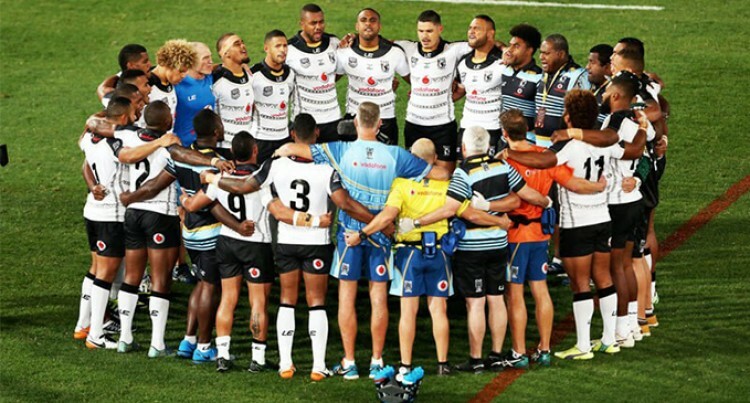 The Fijian Bati and Samoa have also roped in top stars into their line-up but the latter’s 38-8 thrashing at the hands of New Zealand will see them face an even bigger task against neighbours Tonga. Jarryd Hayne returns for the Bati for the first time since 2008 and along with Ashton Sims, Melbourne Storm’s superstar Suliasi Vunivalu and team mate Tui Kamikamica, Marcelo Montoya (Canterbury Bulldogs), Apisai Koroisau (Manly Sea Eagles), Taane Milne (St George Illawarra Dragons), captain Kevin Naiqama (Wests Tigers), Jacob Saifiti (Newcastle Knights) and Akuila Uate (Manly Sea Eagles) to name a few. Of course the 58-12 thrashing of a weak USA in the opening match was an indication of the team’s potential with Vunivalu and Uate flying out on the wings. PNG also have a good side. It is the only country where rugby league is the main national sport. But the real threat this year comes from the Fijian Bati and Tonga. Come the knockout round, the three top nations will surely be looking over their shoulders as the Pacific arch rivals will be breathing down their necks. The time has come for the Bati and Tonga to stamp their mark in rugby league history.